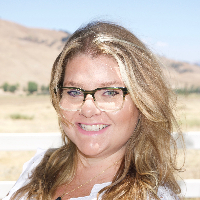 I am a Licensed Clinical Social Worker (CA License # LCSW81127) specializing in the treatment of mental health conditions such as depression, anxiety, bipolar disorder, as well as perinatal mood and anxiety for disorders. I received my B.A. in Human Development with an emphasis in Children and Family Services, from California State University, San Marcos. After providing individual counseling to survivors of domestic and sexual abuse, and working on a Federal grant project to develop and coordinate Sexual Assault Response Teams in rural communities, I went on to earn my master's degree in Social Work, with an emphasis in mental health from the University of Southern California. Post master's, I have obtained advanced training and experience serving individuals with acute mental health conditions in an inpatient psychiatric unit. I have additionally obtained advanced training in the treatment of perinatal mood and anxiety disorder through Postpartum Support International as well as Maternal Mental Health NOW. She is really great she listens to me she's respectful she has empathy. I don't feel rushed or feel like I'm one of many many clients she's good at making me feel like I'm the only one that she has. She remembers what I tell her from session to session she doesn't seem to need to be recapped about things or events which is nice. Would you like to write a review for Jami Davis? We'd appreciate if you can spend a couple of minutes to write a short review for Jami Davis (MSW, LCSW). This review would be shared with Jami Davis. It may also be posted in our website or in Jami Davis's profile but it would be anonymous and your identity would be kept completely confidential.